Has this column gone soft? A few years ago, we regularly savaged credit card companies, the Federal Reserve (which was then the card industry's regulator), and even federal judges when any of them acted against the interests of consumers who hold plastic. Indeed, in Secured credit cards and the Rottweiler tendency, we attacked all three -- and managed to upset at least one fan of Rottweilers, who rightly wrote to protest our slandering of the breed. Nobody wrote in to complain about our rough treatment of the others. Such consumer-advocacy columns are fun to write, and the recent lack of them is probably down to the fact that few mainstream credit card companies now abuse their customers in the way some once did. Of course, that may have more to do with the Credit Card Accountability Responsibility and Disclosure Act of 2009 (the CARD Act) rather than to some new-found altruism on the part of bank executives. Anyway, it was with some excitement that we clicked through on a June 3 Investopedia headline, which promised to expose "5 secrets credit card companies don't want you to know." Could this be an opportunity to take up the old vitriol-filled pen? Some credit cards have shorter grace periods (the time during which your purchases don't attract interest) than they used to. Credit card interest rates can rise, providing you're given notice, though the new rate applies only to future purchases. This applies to fixed-rate cards, too. If you're late paying, you might face a penalty fee AND a higher interest rate. If you're late paying on one credit card, penalty rates can be imposed on your other cards. Balance transfers often attract a fee. Those revelations are both startling and accurate. Unfortunately, the ones that are accurate aren't remotely surprising, and the ones that startle may not be entirely accurate. Really, how many consumers are shocked that some card issuers have squeezed grace periods, impose both penalty fees and rates for late payments, and charge a one-off fee for balance transfers? Surely these are common knowledge. And they're a million miles away from those notorious "gotcha" clauses that used to populate card agreements before the CARD Act. Those were dirty little secrets card companies really didn't want you to know. As for fixed-rate credit cards being subject to interest variations, who today has a fixed-rate credit card? Surely they all-but died out years ago. If you still have one, treasure it. And, whatever you do, don't let your dodo eat it. You can find online standard credit card agreements that claim a bank can impose penalty rates on a card for late or returned payments, or exceeding credit limits on any account held with the same bank. But the fact a card agreement claims a bank has the right to do something doesn't automatically make that something likely to happen. For instance, some of those agreements still assert a right to maintain penalty rates indefinitely, a practice banned, except in unusual circumstances, by the Credit CARD Act. But there's nothing about a bank being able to raise rates on products not directly affected by the breach. However, communications with issuers yeilded vague results. So, we recommend calling your credit card issuers to determine your card issuers policy on penalty rates. What is clear is that fewer credit card companies than ever now see ruthlessly exploiting customers as an effective way of building their businesses. Indeed, many are eschewing practices that used to be common and remain legal. 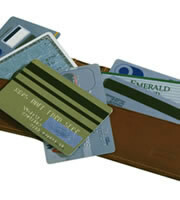 In March 2013, the Office of Consumer Affairs and Business Regulation (OCABR) in Massachusetts examined the deals offered by 19 popular credit cards. It found that five of those do not impose penalty rates at all, and only one charged both a penalty APR and a late payment fee. All this is a bit depressing for writers who used to enjoy lambasting credit card companies. But it's very good news for consumers. 0 Responses to "Credit card companies' so-called secrets"